There are currently 1 user and 155 guests online. Some games I whipped up for the 100th KotMK. Released 4 hours early since I won't have much time to submit games. 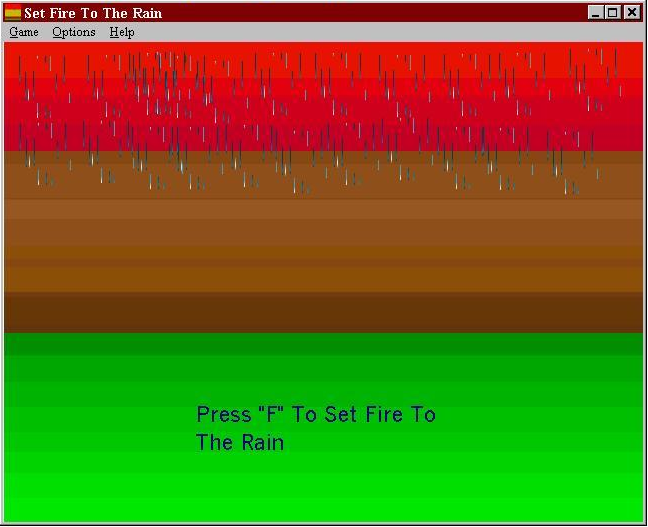 Press f to set fire to the rain and shift to turn it back into water. This reminds me of the Adele song, which reminds me of the line "ice burns hotter than fire" from the poem on Family Guy that joe's son was going to read on... THANKSGIVING.